The Supreme Court on Tuesday set aside a ‘flyover promotion’ granted to an officer who worked with a former Chief Minister of Assam by violating service rules. 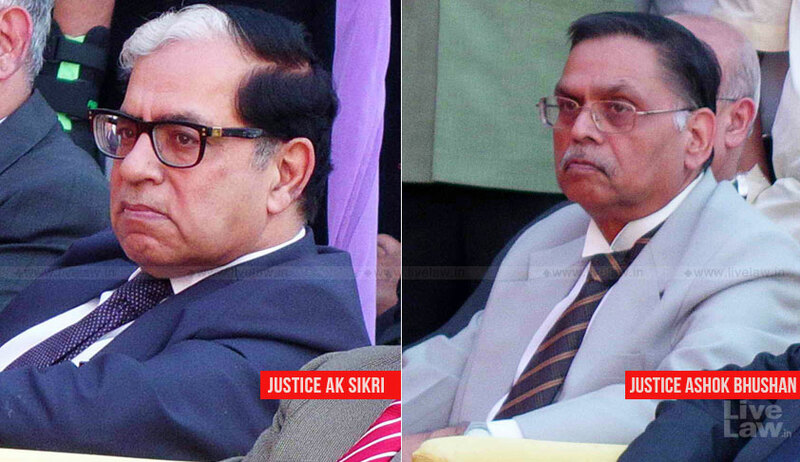 The bench comprising Justices AK Sikri and Ashok Bhushan restored the judgment of a single judge of the Gauhati High Court which was earlier set aside by the division bench on the ground of delay and latches. The division bench had also accepted that 13 vacancies were not in existence and favoritism was shown to Debajit Das. Disagreeing with the approach of the division bench, the court said fraud vitiates every action and cannot be kept under the carpet on the ground that the action challenged was belated, more so when there is a reasonable explanation for such delay. The bench also agreed with the high court division bench that had dubbed the entire exercise as a bona fide error. “What happened cannot be termed as ‘bona fide’. It was a clear case of favouritism shown to respondent No.1 and the actions were contrary to Rules,” it said. “One has to keep in mind that at that time he was working as Officer on Special Duty to the Chief Minister. These facts reflect clear manipulation of the system at various stages to give out of turn promotion to respondent No.1 by bestowing undue favour. With such ‘flyover promotions’, respondent No.1 parachuted from Assistant Executive Engineer to Superintending Engineer by bypassing many senior colleagues in the cadre of Assistant Executive Engineer who are still stagnating in the same cadre,” it said. The court also noted that the delay was reasonably explained as the petitioner had submitted a representation to the Chief Minister in this regard.